Another great week of comics featuring an impressive debut from none other than Alyssa Milano! Throw in an epic conclusion to All out War and sprinkle in some Mind MGMT just for fun and this is one solid week for the funny books. Add to the mix that International TableTop day has been officially announced for April 5 and I am one happy camper. 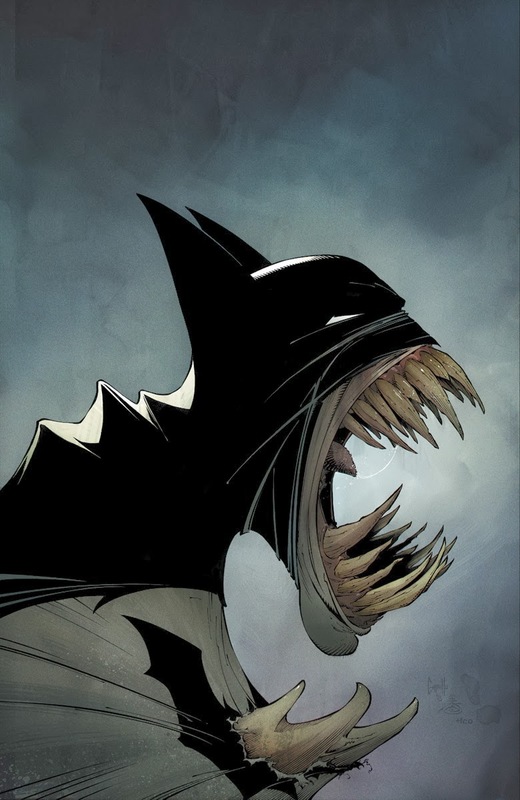 Batman #27 - This is the moment that I completely buy in to what Scott Snyder is doing with Zero Year. This is the moment that I am a fan of the Riddler. I have sung high praise for Snyder's run with Batman, as have countless others, but have struggled with Zero Year. It had improved, but I feel that it truly came into its own in this issue. From the frantic action to open the book, to the additional background provided about Gordon's coat, this issue truly felt like it was all coming together. Snyder's vision for Zero Year finally paid off (not that it was ever bad by any means) and it was worth it. Personally I have never been a fan of the Riddler, but with Snyder controlling the nefarious foe I am rapidly enjoying this duel with Batman. Time to get excited about Batman again. 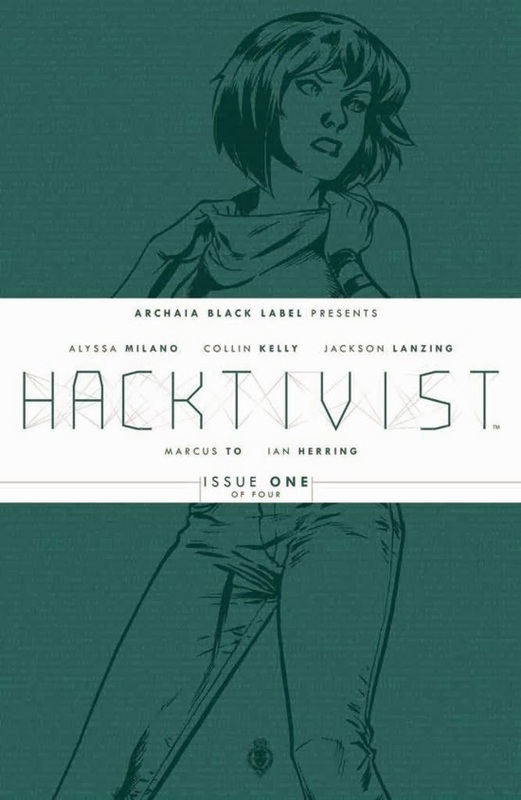 Hacktivist #1 - Alyssa Milano, actress, reality tv host, and possibly the boss, released her first comic this week on Archaia (now officially part of Boom). Hacktivist pays homage to Anonymous and was inspired by Jack Dorsey, the creator of Twitter. Hacktivist is the tale of SVE_URS3LF, a hacker that is helping overturn the Tunisian government. Filled with intrigue, rivalries, deception, and get this, hacking, Hacktivist is an impressive debut from an unexpected person. Well done Ms. Milano. You have yourself a fan. Mind MGMT #18 - Matt Kindt continues his impressive run with Mind MGMT and introduces us to another student of the Mind MGMT academy. This month we learn about Ella, a Mind MGMT agent who has the ability to telepathically communicate with animals. She had a troubled past (trips to the zoo were disasterous), but found support from Henry, her guardian bear. Straight out of Richard Scary's Busytown, the perception of Mind MGMT from Ella's lens is fascinating and entertaining. Ella's struggle to use the animals as weapons was heartfelt and crushing. Still, Lyme and Meru need all of the help they can get if they are to stop Mind MGMT and the Eraser. Things are getting intense and this remains one of the best titles on the market. Chew #39 - The insanity that is John Layman is very apparent in the latest issue of Chew. I am very happy I went back and reread this series as it has reinvigorated me on what an amazing world he has created. I don't want to spoil anything, but if you are a fan of the series you will be pleased to know that issue 39 is insane and beautiful. I want a spin-off of Amelia's sci-fi detective novel. I want that novel produced by SyFy in a cheesy made for tv movie. I want it all. I also was pleased to see Olive Chu show off her impressive skills. I think that the next Chew sculpt from the Skeleton Crew Studio should be Olive with a chocolate sword. That is all. Walking Dead #120 - Holy heroics Denise! I was quite impressed with her can do spirit, but that is when it hit the fan. Negan and his men conclude their all out assault on Hilltop. Just when you think Negan can't get any more vulgar, Kirkman finds a way. Let's just say that throwing grenades at Rick and company has got him excited to the point that he is considering wrapping a certain body part with barbed wire and dubbing it Lucille 2 (Side note: I want to go back and look for other parallels between Negan and Buster from Arrested Development now). The action is brutal as things look bleak for Hilltop. Did Negan win? What happened? I don't want to wait. Curse you Kirkman!